For those of us who have waited and waited and griped and knocked at doors for years to push for the completion of the project, it is hard to believe that it is nearly a reality – but it is. 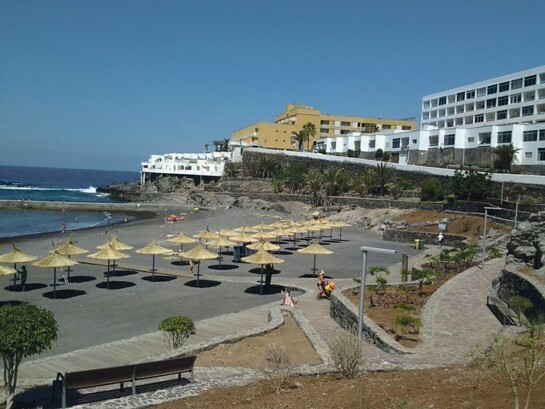 The beach in Callao Salvaje, Playa Ajabo, is looking more than good, with the parasols now in place, the restaurant open and even a lifeguard in place. However there is still work to do and the word from the council is that is on-going. There is a stretch of ground behind the new beach bar that is currently being flattened and tarmacked though it is still not confirmed whether this will be a pathway or a through road for cars to and from the beach. A problem with water pressure levels has meant that some of the flower beds cannot be properly maintained, so they may be redesigned to a more adaptable format.